I know its been ages since my last post - apologies!. As well as the usual summer madness (tis the wedding season don't cha know! ), I had a fantastic Holiday to Turkey, but I am back now in the thick of it. I had a meeting with one of my Reps the other day who introduced me to PaperStone, and I have to say I am in love! 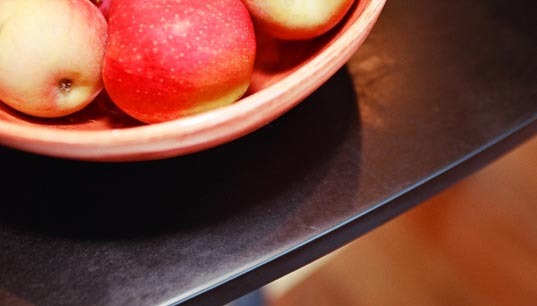 Marketed as the 'worktop with a conscience', PaperStone's green credentials are unparalleled. PaperStone is a heavy duty Composite made from post-consumer recycled paper and as such both strong and tough. Its also incredibly rich in colour. and it washes clean simply with dishwasher liquid and a sponge!